Home / News / Akhil to romance Nivetha Thomas? 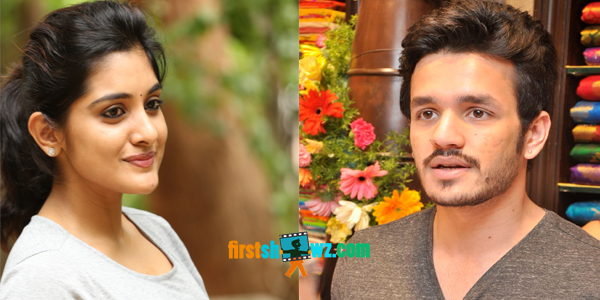 Akhil to romance Nivetha Thomas? Nagarjuna has recently announced that Akhil has signed up for his second film and it will be directed by Vikram K Kumar of Manam fame. The pre-production works of the film are in progress and the unit is finalizing the cast and crew of the movie. Vikram Kumar has narrated a storyline and apparently Nagarjuna and Akhil liked the script and finalized it. If the buzz is to be believed, Akhil Akkineni may romance Nivetha Thomas in the film, though an official announcement is awaited. Niveda Thomas was earlier seen in Nani’s Gentleman, and she bagged applauds from audiences as well as critics. This big-budget film of Akhil and Vikram Kumar under Annapurna Studios banner will certainly give a boost for Nivetha Thomas’s Tollywood career.